UMBC’s donors support the university for many reasons, and for that we are grateful. 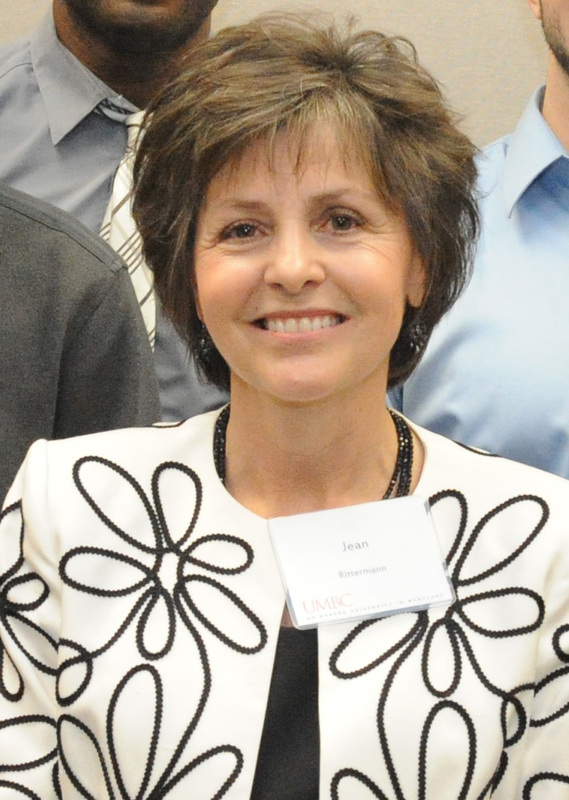 One such donor is Jean Rittermann, President of Conveyor Handling Company, Inc., who along with her sister, Nancy Carey, established the Anthony Alvarez Award for Outstanding Students in Engineering in honor of their father. Q: How did you become involved with UMBC? A: Education and hard work have always been a priority in our family. So as our business prospered, and we [Rittermann, her sister and their spouses] realized the importance of giving back to the community, it seemed only logical to think about creating a scholarship. By doing so, we would be able to establish a lasting tribute and thank you to my father for starting this company and for providing us with the opportunities that have so positively impacted our lives. As a material handling distributor, engineering is a very integral part of our business, so we wanted to choose a university with an engineering program that was strong, dynamic and of the highest quality. We also wanted it to be located in our community. It seemed that UMBC was the perfect fit. Q: Who is the Alvarez Scholarship for? A: The Alvarez Scholarship is for a full-time engineering student who has completed his or her sophomore year and has demonstrated academic success by achieving a GPA of at least 3.0 and who also has a demonstrated record of leadership and/or community service. Q: The scholarship is named for your father, who is still living. Why was it important for you to give back to UMBC in this particular way and in his name? A: When I reflect back over the years, I realize how fortunate I am to have a father who cares so deeply about the welfare of his family. Establishing this scholarship was our way of thanking him for his many years of guidance and support and the hard work and dedication he put into to his career. We realized that by endowing an engineering scholarship at such an outstanding university, we would be acknowledging what is important to him. Q: How do you feel when you think about the students who are helped by the scholarship you provide? A: As I read the essays written by the students on the scholarship applications, I am amazed at the goals that they have set for themselves and at the tremendous drive and fervor that they possess to reach them. They recognize the need for their skills regionally, nationally and internationally. These students definitely realize that without this financial help, they may not be able to fulfill their goals and that is a great disappointment to them. I’m so impressed by their commitment and drive. Not only are they taking a full course load every semester, many of them have part-time jobs where they work 20 or 30 hours a week. You don’t always see that in young adults. The students who have received our scholarship are so, so grateful. The award has given them a chance to focus on and enjoy what they are studying and not have to worry about juggling a part-time job and their coursework.